One of our goals is to share and foster the creative energy in our community. We do this through our weekly events, listed down the right hand side, and through special events that allow us to celebrate, help and heal through creativity and writing. May 26-28, We raised $1700 in 48 hours! 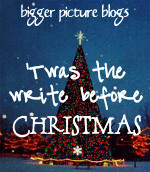 A creative writing adventure that helps us recaptures the magic of the holiday season. 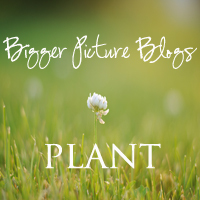 Bigger Picture Blogs sponsored a month of Write Pink! 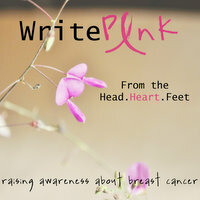 from the head, heart and feet to raise awareness about breast cancer education, prevention, support and survival. It was an inspiring month with lots of really great conversations on all aspects of breast cancer from prevention to support. 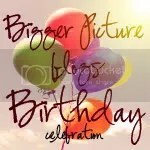 Blog for Breasts Day was a HUGE success with 29 bloggers linking up their pledge. 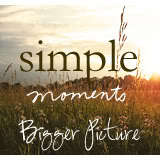 I’m a blogger (at the website posted above) and subscribe to the “One Crafty Mother” blog. 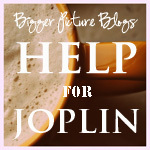 She said she was asked to donate something for auction to help out people in Joplin. I also make jewellery and would be thrilled to donate something as well. Are you looking for other additions? I make these cute little dragonfly pendants in whatever colour you want. There’s one up on Etsy if you want to see. http://www.sandiratch.etsy.com (I’m not particularly creative with my website names!). Please e-mail me back if you’re interested.